I know it\'s a great photo when I say ooooooh out loud the moment I lay eyes on it. Really beautiful shot! Beautiful silver tones and scape. I think the answer to your next photo might be that to ask what it is that keeps the tibetans from pursuing their traditional ways of life– is it private land ownership, encroaching Chinese settlers, increased population? Beautiful work, and I enjoy our photojournalist take on some very important issues. 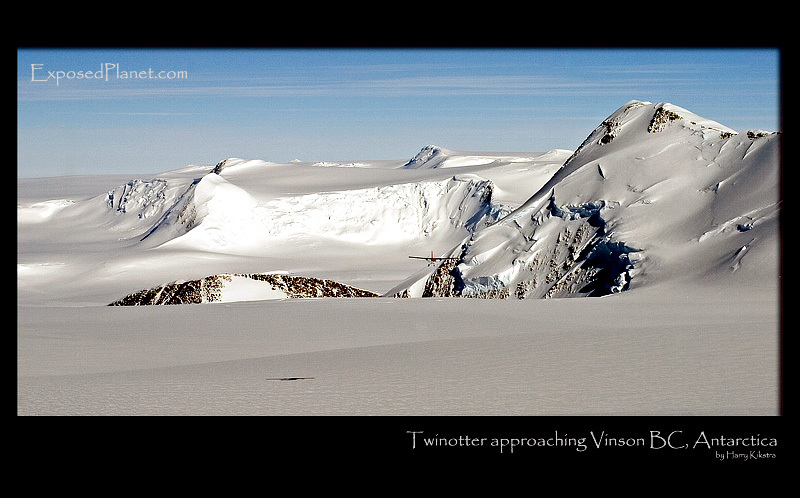 The story behind "Twinotter landing at Vinson BC, Antarctica"
This is the view from the toilet of Vinson BaseCamp, the highest mountain of Antarctica and therefore one of the 7 summits. You fly onto the continent in a huge Ilyushin freightplane, to get to the basecamp, you need to take a second, smaller Twinotter plane. The toilet itself is a 180 degrees snow wall with a view. All urine and faeces are collected and all is flown out to South America, leaving no trace of the few dozen climbers per year..